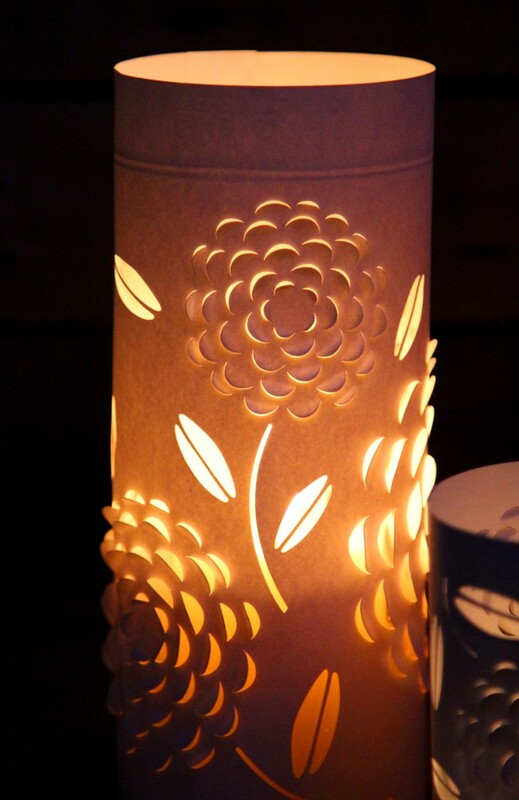 DIY paper lanterns are some of my favorite things! 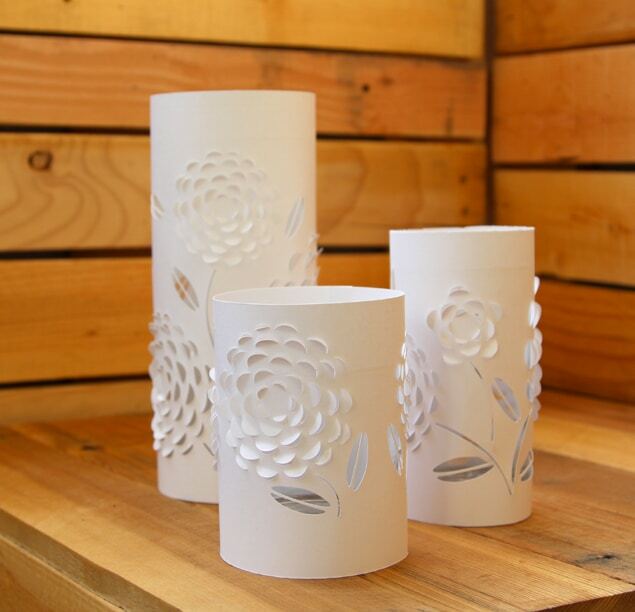 They are simple to make, and can add ambiance to any space instantly. 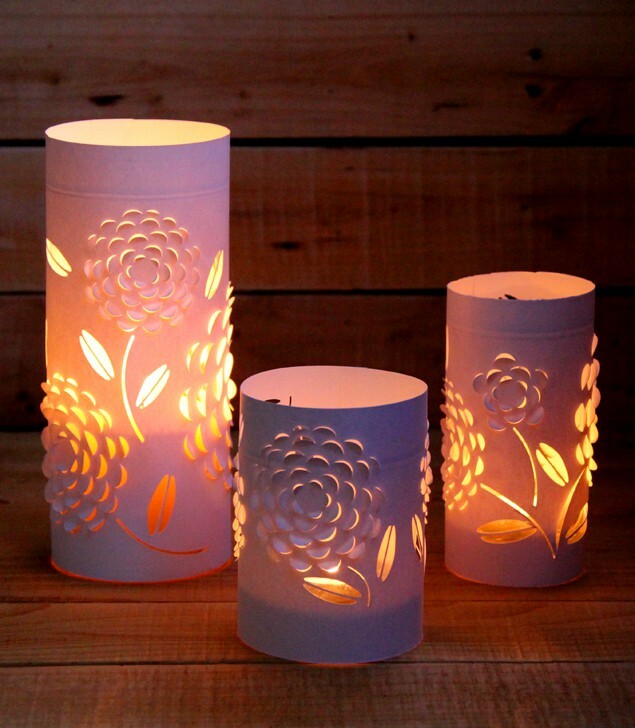 You may also love these new improved DIY paper lanterns: this new set of paper lanterns are made with plastic bottles and LED string lights! paper : I used this great quality index card stock . 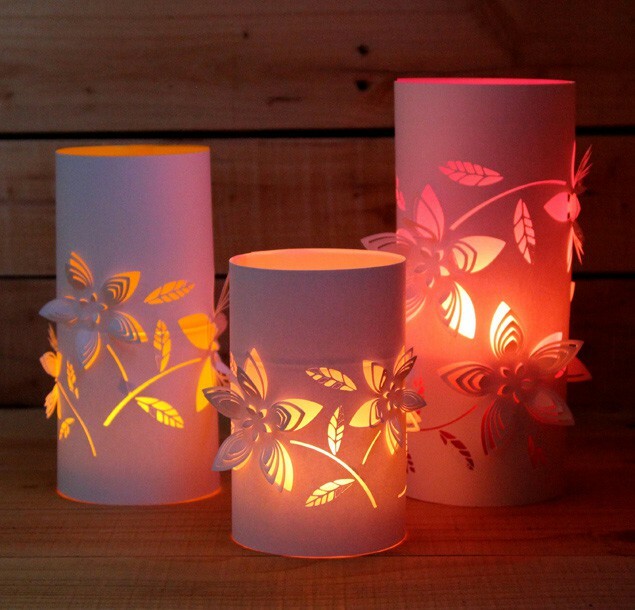 to light up our paper lantern, I recommend LED candles or micro LED Warm White String Lights which are very bright, and are safer than real candles! Print the template on paper, I used sturdy 110lb index card stock such as these. 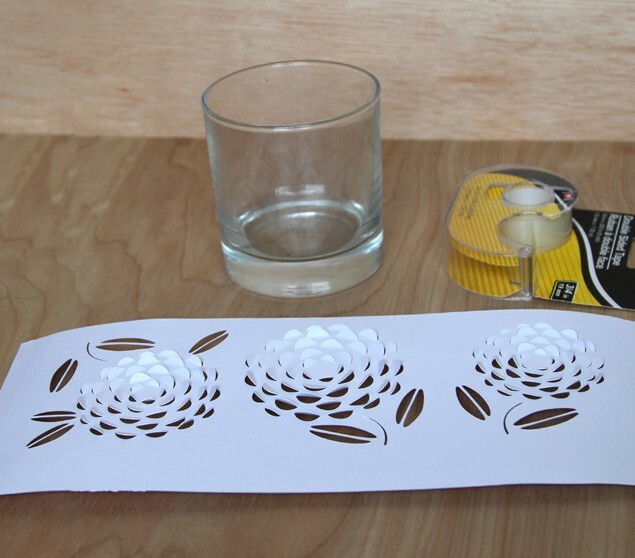 Cut out the leaves and stems, and cut along the lines of the petals, be careful not to cut too much and cut them off. Next, measure the size of your glass and cut the excess paper away. Now the fun part! Gently fold those petals up so the blossoms become three dimensional! Use double sided tape to tape the paper onto the outside of the glasses. 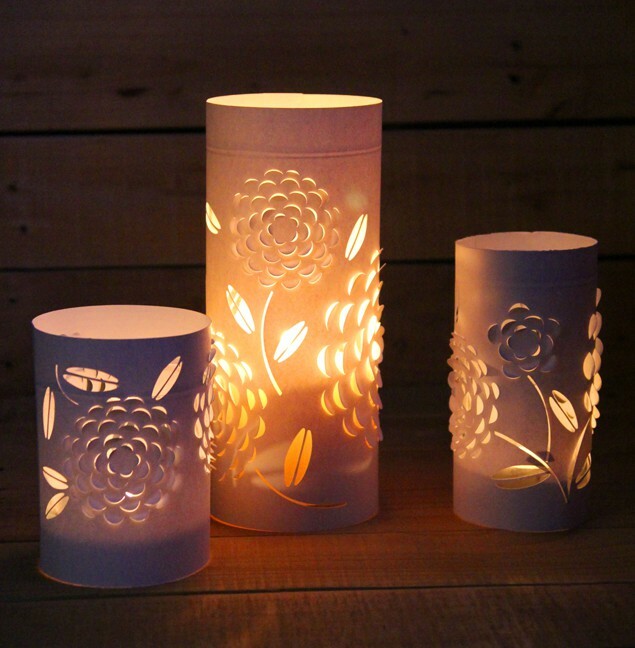 You will have a beautiful paper lantern! 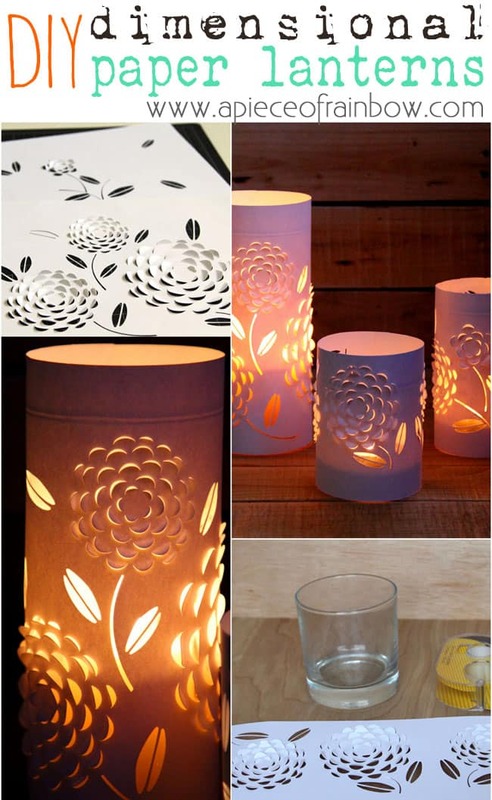 Now we can patiently waiting for sunset to light up the candles and appreciate the beauty and magic of these DIY paper lanterns! Although it is nice to have a bright candle flickering inside the paper lantern, I highly recommend using LED candles or these LED Warm White String Lights which are very bright, and are safer than real candles! 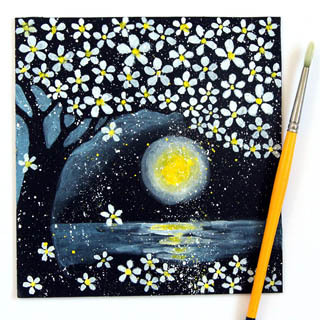 Love paper and art? 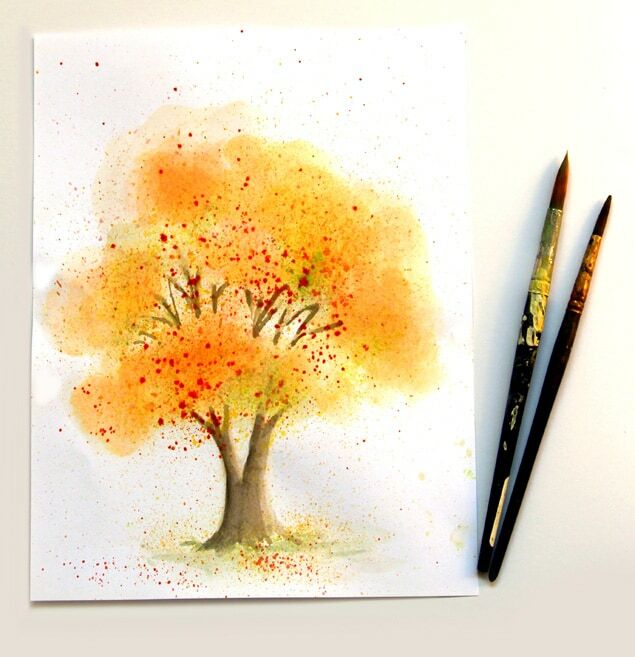 You need no art experience to make this watercolor in 10 minutes, but you do need a toothbrush, wha?!? Another set of paper lanterns are here! With colored glow! They are very cool!! They look easy to make but the cutting part ….oh! This is so beautiful dear friend. I wish you had this idea for my contest :). I just LOVE these! Thank you for the templates – making them today! LOVE these! I can’t believe how easy they are to make….and they look so great! Easy and so fabulous! Could be cute to glue thin paper of another color on the back before cutting too…that way when they fold out, there’s a pop of color visible. Just a thought! Lovely! Nicer than candles as a centerpiece for a nice company dinner! Okay, this is really really cool! Great work! 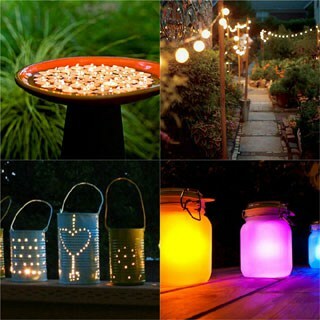 These are beautiful, what a lovely and inventive idea! I’d love to see this with coloured glass shining through the paper holes! Woah! These look so fancy!!! Beautiful! 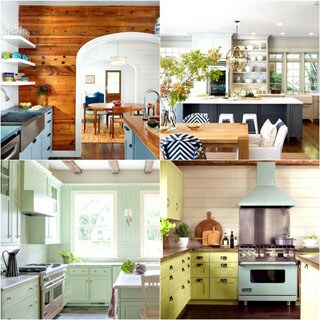 Totally pinned so I can try this sometime – can’t wait to see your next design! Wow, they look amazing with such simple materials! These are beautiful! Thank you for sharing! I am going to pin for sure. So pretty! What a great DIY. Merci beaucoup pour ce partage ! 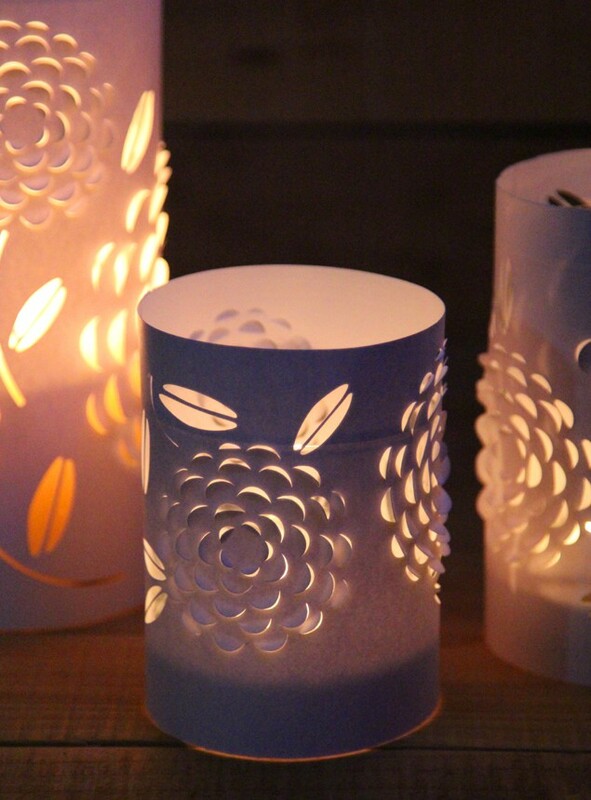 Les photophores sont magnifiques ! Those are beautiful! This will definitely be my next project! These are so simle and gorgeous! Those lanterns are so pretty! I’m going to have to bust out my Cameo and make some of these! thanks carly! those little machines are so fun! These are SO cool! Definitely will be making these. These are so gorgeous! Very simple! So pretty!! I need to make some of these! These are beautiful! I love that it is a fairly simple concept that creates a very dramatic look! Those are so beautiful! What a great DIY! I’d love to use these for an outdoor dinner. So delicate! This would be absolutely perfect on my desk! Oh how delightful! I just love them and looking forward to making them in all shapes and sizes. Thanks for sharing and just love your blog site. I have a Silhouette Cameo and have found the perfect giveaway I’ve been looking for for my son’s wedding. Thanks for sharing! hi rose, that’s what i used, & some readers have made them too, not sure why yours are not cutting right, make sure all lines are set at 0 ! love these! I am trying to download them and they download to my computer but when I try to open the silhouette one I get a message “There is no application set to open the document “dimensional-paper-apieceofrainbow.studio3”. I have a silhouette cameo and updated the software – I know I must be doing something wrong – can you help me out? when i pull the file in to the silhouette studio it only has one of the deisgns and i know there are 3 on the first and 2 on the second. thank you they are very beautiful! Beautiful ! Thanks so much of sharing these beautiful projects just in the process of making them. What a great article, and thanks for posting it to DIYselfies! i will add them to my queue today! i hope you will get loads of new fans! Ananda, i love your articles! we now feature them on our Facebook and DIYselfies pages! I hope they will bring you many new fans! 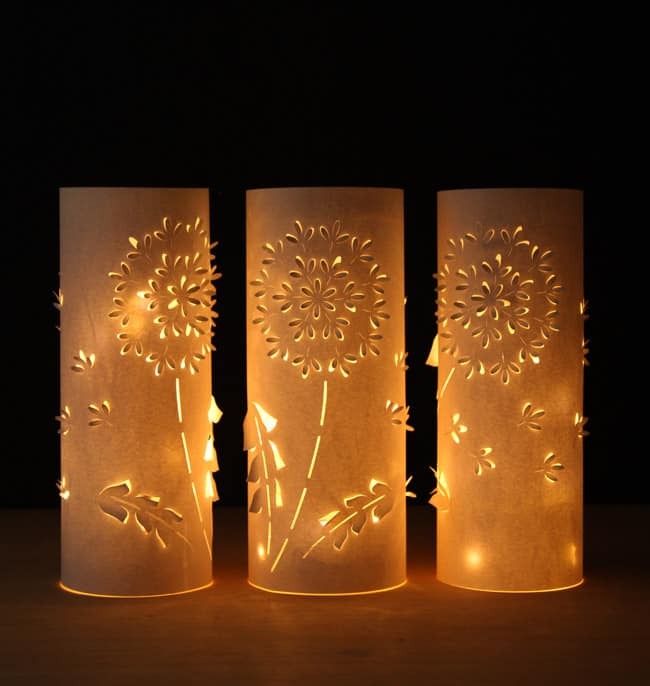 Avez- vous d’autres modèles de “paper cutting” pour lanternes?! : ) I got it, just double tapped on it. I was making it harder than it should have been. These mac computers are a little different. 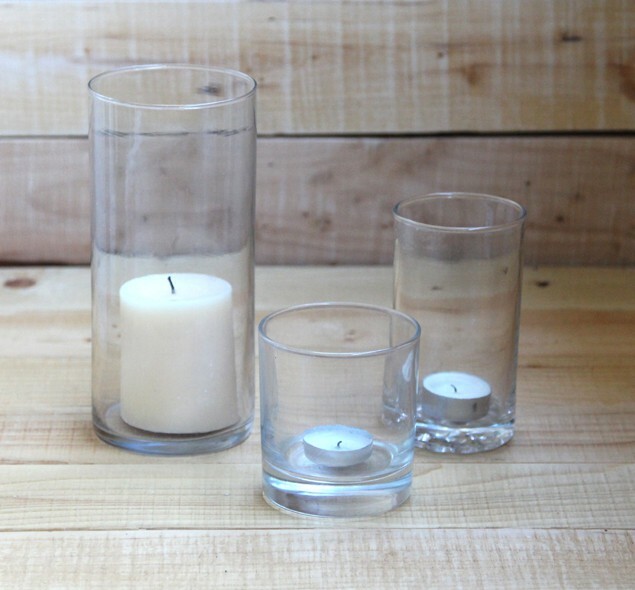 is there a file to down load for this candle wrap? These are beautiful. great job! At first glance, I thought these were pinecones… a thought for the holidays? So pretty and unique. 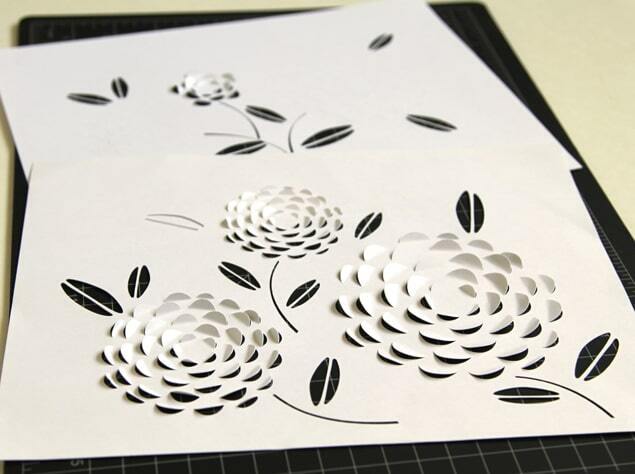 I will have to try with my cutting machine. HI I have just come across your wonderful post !! I really want to make some of these for he summer. Can I ask is there an issue with health and safety for the paper white and coloured that you use alongside the candle? Hello! I’m trying to download the pattern and nothing. It keeps asking me to join the emailing list and I have. I also tried emailing the project to myself am still nothing. I really need to print the pattern out because I will be hand cutting them and I need to make 50! Help please!! Would love the SVG file for these as well! so cute!! Hi, it’s so beautiful. Somehow I can’t find the templates for both lanterns. It says download below and them there’s nothing there. Can you tell me where they are? My daughter and I are really excited to try this! Aya. Thank you for sharing this tutorial and tamplate. 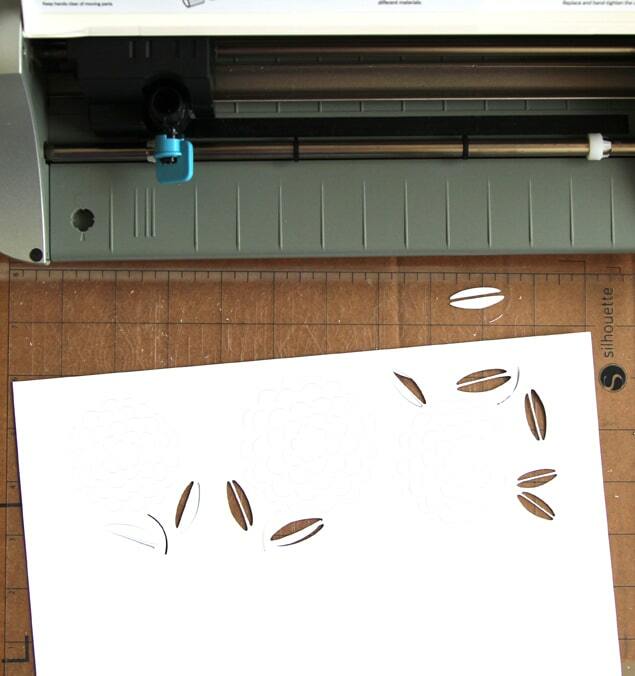 I wonder if you have the svg version of the template to use with the cricut to be able to cut and score the lines.